Photograph of father who traveled with his family by walking and carrying his children in a tricycle basket for six weeks, to bring his son to the hospital for treatment. IFCCD provides housing and transportation for families and patients to and from the clinic for surgery and post operative care. 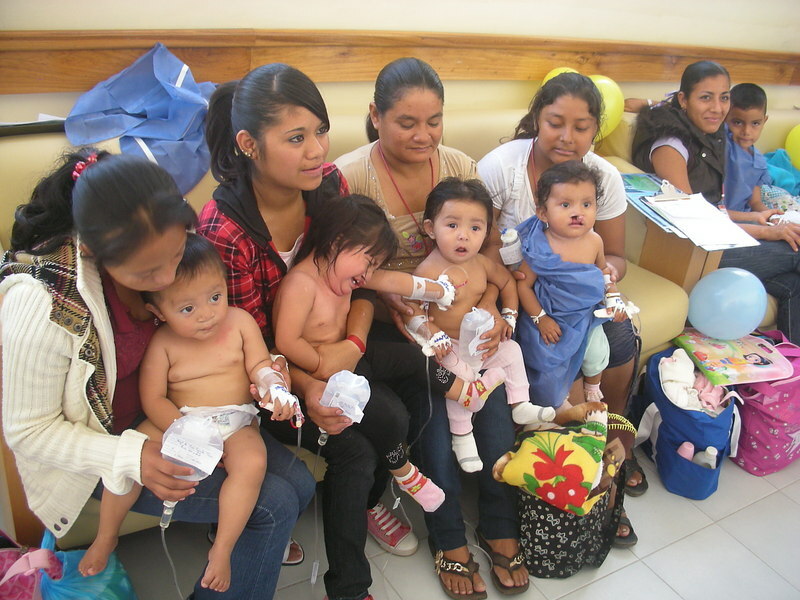 Mothers with their children awaiting surgical care. 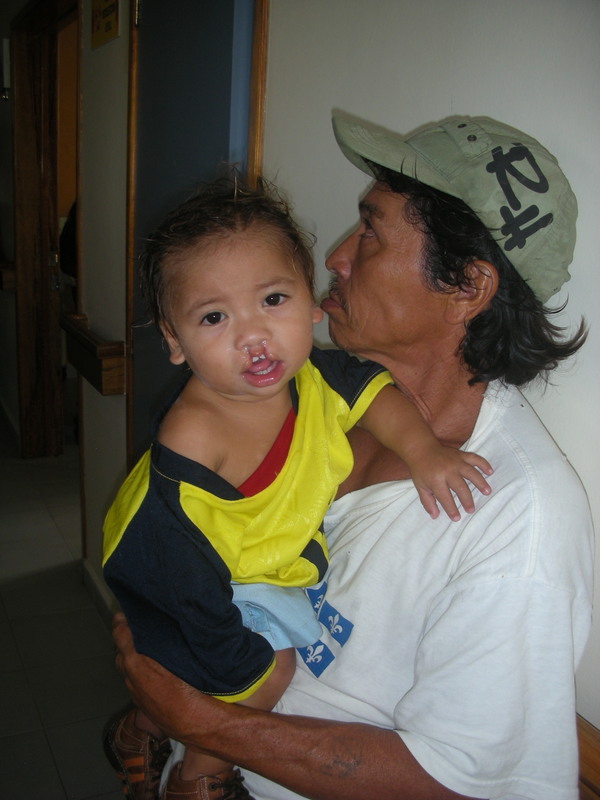 IFCCD provides equipment and supplies for the missionary doctors and nurses who donate their time and care for about 40 patients over a one week period.